Accidents, especially on construction sites, are not uncommon. That is why companies need to be responsible for training employees not only for productivity but for safety, too. And because legally it doesn’t matter whether the accident is the result of employer negligence or employee carelessness, employers are bound by various regulations to establish processes to protect their employees from injury. It’s important to note that even when the employee’s own behavior leads to an accident when on the job site, the employer is still responsible for ensuring workers’ safety. So the real question is how can companies instill a safety-first culture? And more importantly, how can employers protect both their employees and their mutual livelihoods? Strong Teams: Safety incidents degrade the performance of the team and the job’s progress, which can impact completion bonuses. Further, repeated incidents erode trust in the company from both employees and clients. Consistent safety training can increase team confidence and performance, give employees a voice in the process, and make for a more profitable company. Marketability. Any workplace that has a great safety culture — and the data to back it up — is more competitive in the marketplace. Not only is it easier to tap the talent pool, but a strong safety record can be a huge marketing advantage when selling to new customers. A safety record backed up by real data is a huge competitive advantage. Profitability. A culture of strong safety leads to less turnover, better customer acquisition and retention, and fewer costs associated with fixing lapses in safety (i.e., accidents). All of these things hit your bottom line — why let them? Having a strong safety culture is great, but to protect customers, employers, and employees, companies need to take the next step and document and preserve safety actions. Why? Because accidents happen — even when you’ve done everything reasonable to prevent them — and proper documentation can protect you from the inevitable legal review when a job site incident occurs. 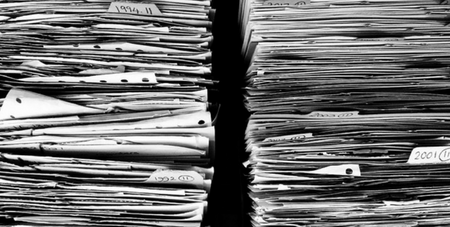 Collecting and storing safety documentation can be overwhelming, and using paper may increase your risk of losing critical, legally-protective data. For this reason, you should consider electronic documentation and mobile data collection technologies to support your safety culture. 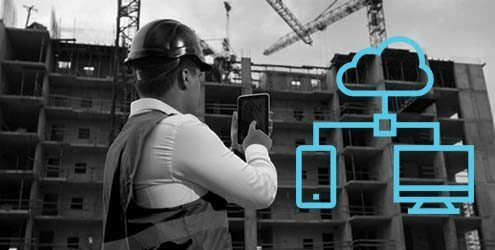 Mobile data collection has revolutionized safety-related processes, and it may significantly decrease costs and regulatory liabilities, help build a culture of safety, and ultimately save lives. Mobile technology is part of all our personal and business lives. 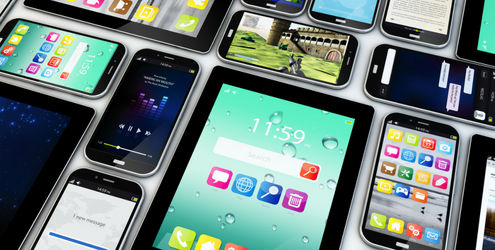 Mobile devices are readily available, whether they are personal devices or corporate-owned. This means that many of your workers are probably already familiar with this type of data collection. 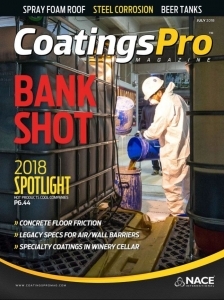 Additionally, it’s easily accessed from remote sites and can often be obtained through lightweight devices, a plus when working with heavy tools. Leveraging new mobile data collection technologies may improve your processes and increase profitability. Therefore, it’s important that you pick the right one. Network. If your team is out of range of a mobile network, either WiFi or cellular, your system should be able to still collect data, then seamlessly sync and upload it when you are in range. Foundation. Mobile data collection solutions can either be web- or app-based. We recommend the app-based approach as that allow will you to continue your work unconnected (i.e., you don’t have to have web access to make it work). This doesn’t mean that the solution shouldn’t have a web portal that you can use to generate reports or analyse results — or even make those reports available to your customers — but it does mean that you need to be able to use the application in the field, just as you would with paper and a clipboard. Connection. Your mobile app should be flexible enough to map to your current (and evolving) safety meeting work process. Most of this will be standard, but if you need to change something, it should be easy and cost-effective to do so, whether this is done by your vendor or by yourself. Storage. Once the data is collected, you need to make sure it’s stored appropriately and securely — and that it’s available only to those who should have access. Consider leveraging the cloud for this. Some vendors offer on-site storage, but this can be more expensive to maintain the storage servers and to staff them. However, not everyone is comfortable with the cloud yet, so take that into consideration. Reporting. Your system should be able to generate reports that both your team and your customers can use. These can be custom reports based on your safety processes or standard industry reports, but they need to be available both online and offline. Having this data will also aid in the analysis of your safety procedures and history. Accessibility. By having the data always available, you will be able to show auditors, customers, prospects, and even employees that you are maintaining safety records appropriately and instituting a culture of safety. If the reports are accessible, sharing pertinent information will be difficult. office or, worse, in the hotel room at night. And this may mean fewer mistakes or missed opportunities for you. The problem with handling paper documentation is that you must keep them safe and secure somewhere, then take on additional costs to prepare, send, or retrieve the information from the job site. Paper-based data is not immediately available to everyone and may not be easily accessible but digital data can be. Proper and accessible documentation is invaluable when working with auditors, lawyers, or others who need access to your safety data. Building a legal case and protecting your company can be much less painful with good data. Through mobile collection and presentation of required documentation, you can immediately demonstrate that diligent, standard processes were maintained in making the workplace safer for everyone. Accidents can happen anytime, anywhere, and to anyone. We can’t prevent all job site incidents, but you can take proactive measures to mitigate risks. Creating proper safety procedure is only the first step; you also need to focus on developing a safety culture through regular safety meetings — and then document them for analysis, improvement, and legal protection. A culture of safety may reduce risk, save lives, and ultimately minimize organizational liability. And using mobile data collection technology may make the process much more efficient and cost-effective for you to do so. BYOD Bring your own device (BYOD) policies have been growing in popularity over the years and they continue to be questioned as the right strategy for organizations as they look to successfully mobilize staff. Debates over corporate data security continually pressure company’s IT and management to seriously consider the best approach for mobile data collection and analysis. As we look at best practices for a successful BYOD strategy please keep in mind that BYOD may not be for every company, but it can be the best for yours. As we learn more about why BYOD has become more popular we need to understand the trends that fuel adoption. Mobile computing has evolved rapidly as device manufacturers increased their focus on mobilization and introduced more powerful smartphones that have empowered consumers to do more with less. Desktop PCs gave way to laptops and now notebooks and tablets have rapidly grown in popularity. Smartphones have become the norm for almost everyone and larger phones or “phablets” are more popular than ever. Consumers, and most importantly employees, can do more with less as they have become accustomed to their preferred device in helping them become significantly more productive. Mobile workers today rely on mobile technologies to keep them connected with a sense of empowerment to use the tools they need to help them be successful. Personal preference and user experience are key to fueling increased productivity and more transparency from the field. This all brings us back to how businesses can leverage this trend to help minimize overhead while fueling profitability. Since device security and BYOD have become pervasive, the decision to buy versus BYOD has become dependent on organizational preference and/or regulatory constraints. Buying versus BYOD also has implications in regard to cost, support, security, and employee adoption. With BYOD, acquisition cost and employee adoption decrease, but support can be an issue for your IT staff. Having to staff in order to support BYOD with a myriad of different manufacturers, models, operating systems, etc. increases costs in other areas. The good news is that many of the smart device manufacturers have improved stability, so the struggles to support devices have decreased significantly over the last few years. If you are leaning towards purchasing devices for staff, then your acquisition costs can be high, employee adoption can be slow, and support costs may be lowered because of standardization. You also need to consider the use case for the device and make the right buy decision considering environment, reliability, and usability. Have your staff (the users) involved in the buying decision so that you minimize the friction of user acceptance. You don’t have to buy the best, but for harsh conditions or excessive use, do not go cheap with your investment. No matter if you buy or adopt, BYOD security is another consideration. Security tools for mobile devices have matured to the point that there are virtually no stories from the press that a data breach was caused by someone’s tablet or smartphone. 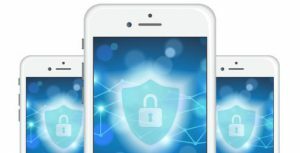 Mobile device management (MDM) tools have given the organization the ability to maintain oversight on application security for both personal and business-owned devices. You can install and manage remotely so that IT can maintain oversight and your staff. If a staff member loses a device or it’s stolen you can remotely wipe the data ensure that your company assets are protected. Finally, for either case of buying or BYOD, you need to develop a corporate mobile device user policy for both company-owned and BYOD device preferences. Specific guidelines around device, corporate data use and security should be clearly defined, and staff should be educated. You should also have employees acknowledge acceptance and sign off on the policy document. No matter what you decide for your mobile device strategy, always consider the end goal and how your field staff will use devices to complete their work. In today’s mobile connected world, user experience should be the key focus for success. 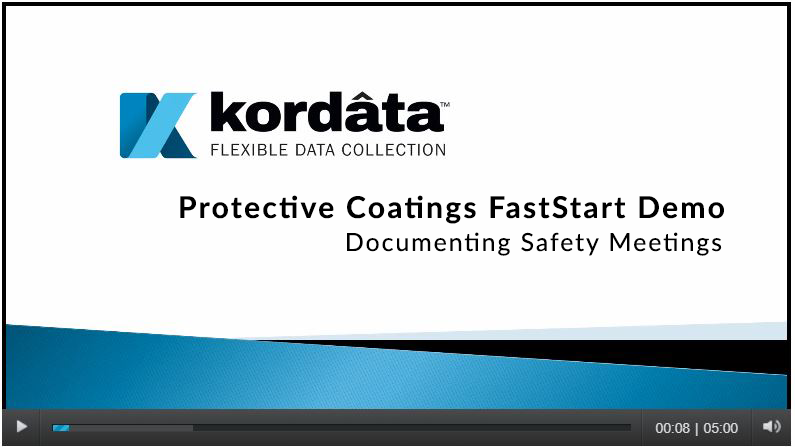 At Kordata, we’ve worked with a significant number of organizations that have both company-owned and BYOD devices. I would be more than happy to share with you our experiences with each approach. Please feel free to contact me at any time if you’d like to learn more. When considering the move to Mobile Data Collection finding the right solution to address your specific needs can be a challenge. The good news is that there are many techniques you can use to make this effortless challenging. I’ve found that the best way to approach identifying the right solution is to have a clear set of requirements based on the specific problem you are trying to solve documented. To accomplish this effort, you should start with framing the problem you need to solve first. This should include feedback from everyone that is impacted by the problem. A good way to start is with a simple problem statement. For example, a problem statement could be as simple as “We are losing clients because of consistent inaccuracies and delays from our field reporting activities.” After you clearly frame the problem, the next step is to identify a list of key requirements. An example of a requirement could look like “the solution should be easy for the field tech to enter data on a mobile device without having to reference external xyz lookup tables.” The benefit of this capability is that the field tech can reduce delays and inaccuracies by having the lookup table integrated as a drop down on the mobile form that they can easily select a predefined option. As you build out your problem statement and the requirements for your mobile data collection needs, you should consider 4 key areas including 1) the roles and responsibilities of all involved, 2) the data elements to be captured in the field, 3) the workflow – from field to office and office to field, and finally 4) how will the data be used? presented and/or reported? When identifying and defining the roles and responsibilities, these could include field staff, office users, managers and clients that directly interact with the field data. You may need to have different levels of authorization for staff to edit and others only the ability to view and report on the data. You may also have to accommodate for managers that should only have visibility of specific team members or clients that may want to review reports only for their projects. The second area to consider is the type of data you want to collect in the field. Many organizations don’t take into account that going to mobile data collection can significantly reduce the amount of data a field worker has to collect. Customer names, addresses, product lists, work descriptions can all be structured as pre-defined dropdowns or auto-populated in the reporting process. Also overcoming paper-based limitations, you can expand your capabilities by adding additional data elements such as photo capture, signatures, barcodes, etc. The third area to consider is the workflow. This is a very important aspect as it could impact the user experience and approval processes. For example, you may have reports that need to be edited and submitted for approval before client delivery or access. Should your field staff be able to collect and edit inspections in a draft mode and then submit for approval once ready? Should the report be automatically routed to a manager in the office with the report is ready? Who else needs to sign off on the report before submitting to the client? Does there need to be a chain of custody workflow? And are their regulations that need to be followed to ensure that the documents follow the correct guidelines? Many things to consider to ensure that the mobile data collection solution meets with your processes. The final area to consider when selecting a solution is your reporting needs. Are there multiple different ways that your organization and your clients need to visualize the data? 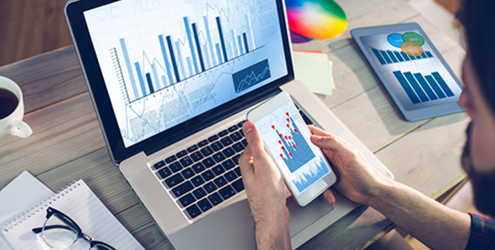 Considerations like special branded reports, regulated reports that require specific formatting, excel reports, or direct integration into your back-end systems. You need to clearly define your reporting requirements to ensure that your mobile data collection solution can meet your specific needs. All of this work seems daunting, but the process is actually much easier than you think. 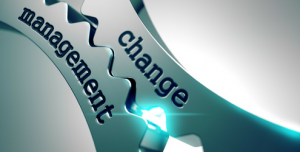 It will result in a blueprint that you can use to communicate your requirements to your IT staff or solution vendor to find the best solution to meet your needs. Mobile data collection is not a catch-all that can solve every problem, but if you’re struggling with delays and inaccuracies with the collection of field data, then it might be the best solution for your organization. It all comes down to the problem you are trying to solve.